Miami-Dade commissioners are set to vote on an economic incentive deal which could bring a new HQ office for Spotify. The actual name of the company is being kept confidential, but the company is a media and entertainment company with over 65 million subscribers. That could mean it is Spotify, the SFBJ speculates. If approved, the company will commit to build a 10,000 square foot Latin America Headquarters office in Wynwood. At least 16 new jobs paying an average of $143,728 (excluding benefits) will be created. Currently, the company has 660 square feet of office space in Miami with 27 employees. Commissioner are scheduled to vote on the deal February 5. Thank you for not building it in Doral. Yeah, it should be built in Hialeah. Why referencing something you don’t actually know of; it was a Taco Bell. There is no Jack in the Box in Florida. Um, just like the comment stated “or whatever fast food joint it was.” Maybe the poster doesn’t live in Miami. No matter, the story got around the USA that that fast food worker told some black people “this is Hialeah, we speak spanish here,” or something to that effect. If you think I’m lying, then look it up. By my math that’s 250 sqft for the site manager and 4×4′ cages for the desk jockeys. Never a fan of municipal deals for jobs…make sure you have the best housing stock, good education, good quality of life, and the companies will follow the talent. Why is the county making an economic incentive for 16 new jobs and the half of the workers probably wouldn’t even live in Miami-Dade county. Go for bigger fish. 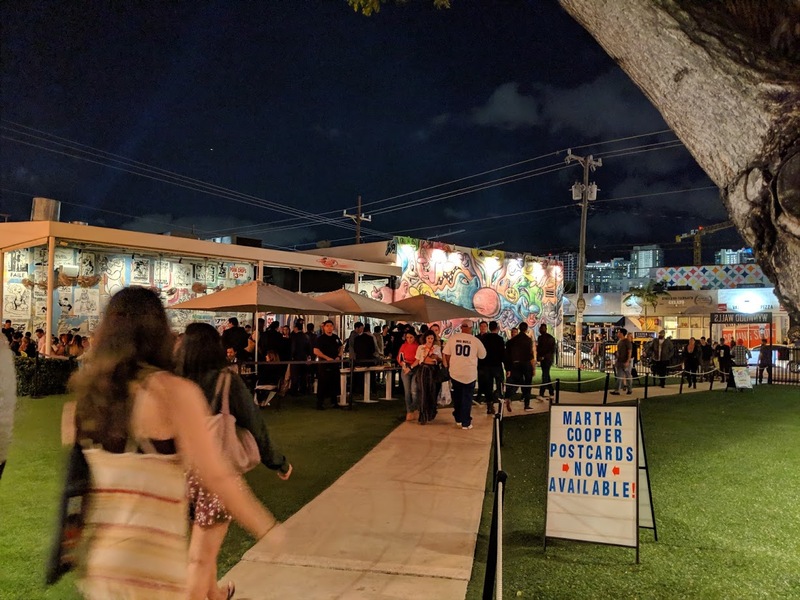 Why is it that Wynwood requires incentives? Now I understand what Tom Brokaw meant. Someone please tell my why a multi billion dollar tech company needs economic “incentives” i.e. money from local tax payers to locate here? Because someone decided that since it’s not their money, why not give away tax payers money. Heck, they’re playing with free money anyway. Can confirm they are poking around the area with brokers.. They are picky with space. Are they going to build it on that empty lot next to the Racket. lol at the 25 or so “high paying jobs”…. Are those 16 jobs going to pay for a Wynwood/Midtown Coastal Link station? No, it will pay for a Latin America trip for Gimenez so he and his wife can study mass transit. Miami is such a bush league place…it may try to fool you with pretty buildings but you can’t dress up a donkey. Bending over very much for 16 jobs. ooooh wee! Masa promise they will take care of us now!…nice e.g. of corporations creating jobs when you bend over far enough eh? You will never be NY or any city in CA who takes these guys by the neck and still get 30k Amazon jobs promised and more tech jobs created in CA than they can cope with. But numskulls on here try to make a grand ‘tax avoidance’ case for the state adding jobs. No legs to stand on long term. This place will be under water quicker than you know it in more ways than one. Keep celebrating the short term invasion of NY and foreign money. You guys are pawns and wannabees! ha! Some of you will get what I am saying the rest will be defensive.